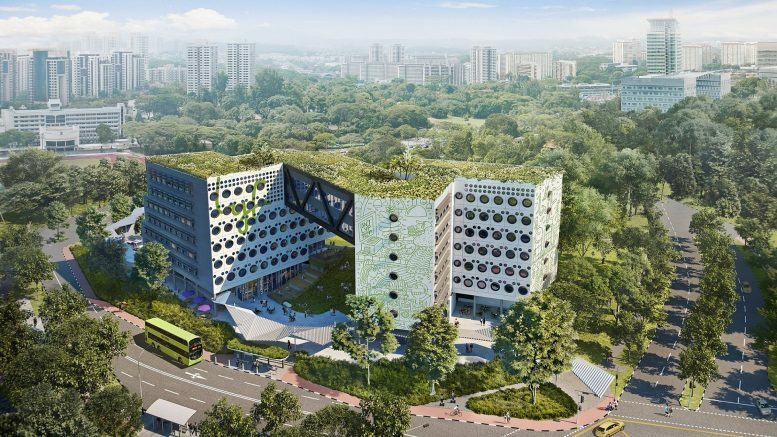 An artist’s impression of Ascott Residence Trust’s lyf one-north co-living project, which is under development in Singapore. It is expected to open in 2021. Credit: Ascott Residence Trust. Revenue for the quarter ended 31 December rose 2 percent on-year to S$136.5 million, on contributions from the acquisition and higher revenue from existing properties, which was partially offset by the loss of revenue from divestments, the trust said in a filing to SGX before the market open on Tuesday. The trust divested two serviced residences in Shanghai and Xi’an in early 2018, it said. In the U.S., Japan and China, operating profit was strong, with gross profit from the U.S. jumped 17 percent in U.S. dollar terms, on higher demand and increased revenue from upgraded apartments at Sheraton Tribeca New York Hotel, the trust said. Excluding the divested properties, China gross profit rose 16 percent in yuan terms due to more guests on long stay, while Japan’s gross profit increased 12 percent in yen terms on stronger corporate and leisure demand in Tokyo, it said. The distribution per unit (DPU) was 2.15 Singapore cents, up 5 percent on-year from 2.04 Singapore cents in the year-earlier quarter, the trust said. For the full year, gross profit rose 5 percent on-year to S$239.4 million, on revenue of S$514.3 million, up 4 percent on-year, Ascott Residence Trust said. Full-year DPU was 7.16 Singapore cents up 9 percent on-year from 7.09 in the previous year, it said. Ascott Residence Trust’s portfolio includes 73 properties with 11,430 units in 37 cities and 14 countries. The properties mostly operate under the Ascott, Citadines and Somerset brands.